For the past few months, I have been cocooned in my own space of contemplation where my inner guidance continually called me IN to my self to reflect and tune into what and how I do life and business. As most of you know and have experienced, my work is a full extension of my essence self, it is my heart and souls expression and my life’s passion. It continues to morph and expand as I personally continue to do the same. It has been a journey of incredible connection and incredible isolation as I let go of all influences outside of myself so I could deeply hear, see and feel my own inner voice and guidance. 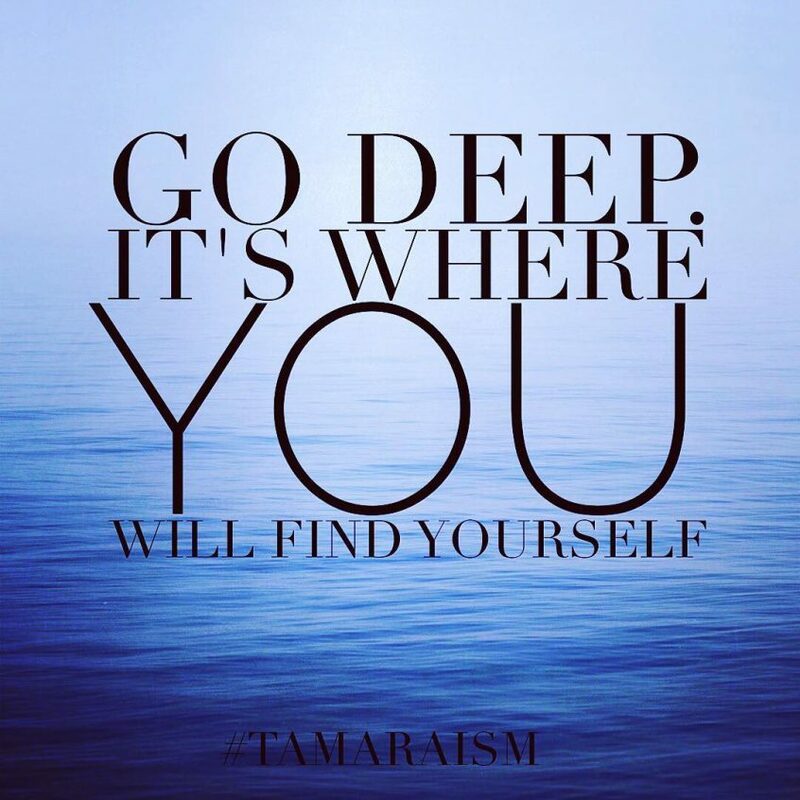 How do you want to do YOU, Tamara? How do you want your business to unfold? How do you want your offerings to flow, to reach/touch people and how do you want to show up for your self and your tribe in this world? Firstly i don’t need/have to have a big presence on social media to reach the public or to grow my business. Social media is huge and it is definitely one way of gaining exposure but it doesn’t have to BE all that is and take over your life. Over the last 13 years my business has naturally and effortlessly grown to what it is now (apart from the last 2/3years of posting more about me on Instagram and having a newsletter SoulSpeak) previous to that I didn’t do any marketing AT ALL. it was all word of mouth. Energy flows… and if you are in your bliss and your passion you are naturally creating a momentum of energy that flows out to all beings who are looking for what you are offering. My abundance is my JOY and my money abundance flows when I am JOY FULL! the 2 go hand in hand. full stop. When I make others business my business, its a red flag telling me I am not in alignment with my SELF and my centre. I have temporarily pinched myself off from my true knowing and sovereignty. My business doesn’t need to look like anyone else’s. there are NO blueprints, no right or wrongs. no magic formula – apart from INTEGRITY!!! Everything is vibrational and when i hold and own my unique self – I invite IN everything i could ever possibly need and desire, with love, grace and ease. BE EASY about life and about my offerings and about my ‘work’. it’s all coming from LOVE and my desire to SERVE LOVE. there is nothing about that, that ever needs pushing or fear or resistance. I have other offerings wanting to step forward, but the financial outlay may not be there RIGHT NOW. that’s ok.. TRUST. There is no place for comparison or competition. It is an illusion of my ego. I felt pulled to share these insights with you, as there is such a tendency at times for us all to feel like we don’t have the tools, the guidance, the skills, the social media following, the funds, the opportunities, the talent, the technical team… etc to fulfil our passions and desires. We all do. What it takes is a commitment to trusting and following our own guidance, our own drum. To resist comparing and focussing on what others are doing and how they are doing it. We all have our unique way of BEING in this world. Make it a daily celebration to dance to your own heartbeat. The world is waiting to receive you and all you can offer of your self in the service of LOVE! Hold your sovereignty sacred and enjoy the ride.